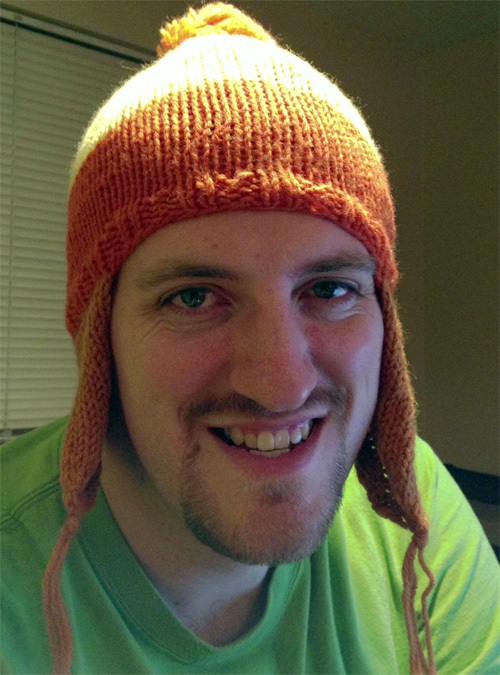 Firefly holds a special place in many a nerd’s life, but it is especially meaningful to me for what it, Jayne, a knitted cap, and my mother did for Christmas. Specifically, how my mom was entrepreneurial about the iconic Jayne hats. This past weekend the Science channel held a Firefly marathon they called ‘Browncoats Unite’ which included an hour long interview with the cast and crew, now ten years since the show aired. This gave fans of the show a glimpse back and the interviewed cast members to reveal some of the deeper stories and inner workings of their beloved characters. My wonderful wife spotted this special roughly three months ago and marked it on the calendar to ensure she recorded it for me because she knew how much I love Firefly. Firefly, for me, holds a very special place in my heart. Among the copious Sci-Fi shows and books in my life, as well as the SyFy series, Firefly is on a rung all its own. Is it the perfect show? No. But it is one of the universes I especially enjoy exploring. I was among the many fans introduced to the show after it was already cancelled. My friends Sam and Tolena introduced me to it. I recall that I was dubious of it based on the premise but after they showed me the first episode I was hooked and asked to borrow their DVDs. It’s worth noting that Sam and Tolena also introduced me to a few other great TV shows such as Coupling (The BBC version) and Wonderfalls. I cut my Sci-Fi teeth on Heinlein and Herbert but I also grew up a die-hard fan of Star Trek: The Next Generation. I would race home after school and plant myself in front of the TV, enduring the Rosie O’Donnell show which led into TNG at 4pm. Then for an hour I would lose myself in the adventures of the Enterprise, Jean-Luc Picard, Q and of course Data. (By the way, if you don’t follow @TNG_S8, you really should. It’s excellent.) And then, the show was gone, 4pm was another show, Sliders I think. I never really fell in love with Voyager or Enterprise, so there were years where I turned back to books and movies for my Sci-fi fix. My love for space opera was unseated by cyberpunk and The Matrix. But I still held a deep passion for space operas with their starships, their crews, and the adventures they could go on. Firefly struck all of these chords and provided me with a show I was really missing at the time. I think it was during a phone call I mentioned the show to my dad, saying I thought he would really love it. I guess he made a note of it and picked up the DVDs at Best Buy or something at the time. Maybe I ordered them for him as a birthday gift, I’m not sure. In any case, he watched it with mom, and they both fell in love with it too. Now, one of the episodes of Firefly, episode 12 is titled “The Message.” This episode, of all of the show’s short series of episodes, is especially important to me. In this episode Jayne, the tough burly warrior of the ship, receives a gift from his mother. It’s a knit cap and a letter from ‘Ma Cobb,’ his mom. The hat isn’t exactly the definition of high fashion, it’s yellow, orange and red and as he puts it on there are pieces of hay sticking out of it. He wears it through the end of the episode, so happy with this gift from his mom. I asked mom to make one of the hats. The hats have become one of the show’s signature pieces of regalia for fans at conventions, wearing the hat makes you immediately identifiable to other fans as sure as a lightsaber or a Starfleet comm badge. I got my hat from mom just a few weeks later and proudly wore it around the campus as the winter weather settled in overhead. Mom, being the enterprising sort she was, realized that if I wanted one then other nerds on the web probably wanted one. And indeed there were a number of people selling Jayne hats. So she began making them and selling them online. Both of my parents have an entrepreneurial streak. For much of my life Mom wrote a newsletter about organization called “The Get Organized! News”. Dad ran a computer business, “sep Computers.” We were Geek Squad before there was Geek Squad. So, mom’s foray into the hat business wasn’t altogether unsurprising but it turned into a very important thing because this was around the time that dad’s computer business was sputtering, competitors were impeding and consumers were getting smart enough that he was getting squeezed out. So mom, over the course of I think four months, sold over 100 of these hats. With each hat she hand wrote the letter from Ma Cobb, and included pieces of hay stuck in the hat. Those hat sales ended up making Christmas possible that year, otherwise the budgets would have been too tight and it would have meant an especially lean year for us. I have two versions of the hat. The first one she ever made, as well as an updated one that she made after refining her technique and the yarn colors she used. 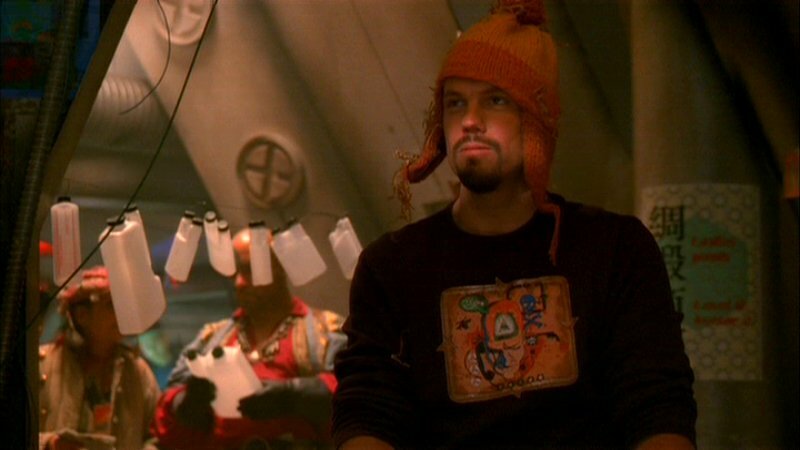 At one point, I had hoped to give one of my two hats to Adam Baldwin, a token of thanks for the part he played in all of this. I know it’s silly, he’s an actor and this is a character he played. He has no idea who I am or who my family is. But for the next few years our paths never crossed. He didn’t come to Dragon*Con, and I didn’t go to any other cons he would be at. It seemed important to me to let him know my story in all of the Firefly fandom. That time has passed though, now I have just one hat the other lost over the years, and I treasure this hat a great deal. That’s how it was for me and my family. Firefly came into our lives and enriched it with the characters, but also for one winter, financially as my mom became Ma Cobb to 100 lucky people. Now that mom is gone, I treasure so many things I got from her, but this is perhaps one of my favorites.